Born in 1949 in China, Paul Jang moved to Kowloon, Hong Kong with his family at the age of 5 to reunite with his grandfather, Chief General of the Chinese Army, Central Post 18. Jang attended a nun’s catholic school for his primary education. Jang’s interest in medicine started at the age of 7 to 12 years old, when he began learning the theories and concepts of Western Medicine from his sister, a head nurse, and his brother-in-law, a medical doctor at the ZhongShan Hospital in GuangZhou. At the age of 15, his interest switched to Oriental Medicine as his father, a famous Chinese Medical Doctor specializing in Traditional Chinese Medicine (TCM) and Acupuncture. His father began teaching him the concepts and practice of natural medicine and acupuncture. At the age of16, Jang began practicing Therapeutic Manipulations in Orthopedics and Traumatology, was taught and practiced by his mother. At 17, Jang learned and practiced high level of Yoga techniques from Cao Trang, a Tibetian Buddhist Monk Leader. In 1969, his family moved to South Vietnam to partner with the largest manufacturing of herbal medicine, Nha thuoc Vo Van Van. Jang assisted his parents with trade herbals business with the manufacturing of herbal medicine. In 1971, Jang’s first cousin, D.P. Truong, a talented Chinese Medical and Acupuncture Doctor, referred Jang to the Vietnamese Army, at the Dispatching Post, to service wounded soldiers. In 1972, Jang volunteered to join the Taiwanese First-Aid Medical Team to perform emergency medical care on numerous wounded soldiers at a major battlefield, Region 3, Troop 5, Unit 8. It was the most horrible battle scene in Da Nang and Khe Xanh, Vietnam. Bodies of soldiers and blood covered the battlefields and National Highway 13. In 1973, Jang was transferred to the Parachuting Army Post to service wounded soldiers of Brigade 61, Unit 9. Jang gained tremendous experience while treating the wounded soldiers. In December of 1973, Jang went to Taiwan and attended the Taiwanese Christian University of the East China Sea, Tung Hai University. 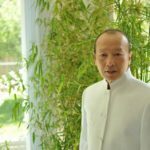 He earned the Chinese Medical Doctoral Degree in Psychology and Natural Chinese Medicine Therapy, and subsequently a Doctoral Degree in Acupuncture. After graduation in 1979, Jang returned to Vietnam to practice as a Chinese Medical Doctor and Acupuncturist In 1983, Jang researched and studied Buddhism. In 1985, Jang took Advanced Massage therapy courses in Tokyo, Japan. Jang was fortunate to work closely with his first cousin, Dr. Qui Truong, a famous and talented Chinese Medical Doctor and Acupuncturist, known as the “Doctor with the Miraculous Hands”. Dr. Truong was able to treat cases which were considered incurable by fellow doctors. Today, patients also call Dr. Paul Jang, the doctor with the “Golden or God-given Hands”. Jang is also known as “Doctor of the last resort”. Like his cousin, Jang is the 4th generation of Chinese Medical Doctor in his family and has successfully cured numerous chronic conditions including paralysis, sciatica, chronic pain, deafness, multiple sclerosis, psoriasis, chronic fatigue, migraines, insomnia, hypertension, high cholesterol, diabetes and other conditions. Jang has a unique diagnosis talent that has made him renowned. Patients are amazed about his ability to precisely tell the patient’s unique health conditions (pain and illnesses) by examining their feet without any X-ray or blood test. Jang is known to treat the source and root of the illness or disease through natural cure. Paul Jang emigrated to Canada on September 1986 and had performed a variety of jobs including manufacturing worker, journalist and tour guide, while continuing to practice Chinese Medicine on a part-time basis. Jang earned a Diploma in Reflexology and Naturopathy at the Ontario College of Naturopathy and Reflexology in1998. Jang established the Toronto Physiotherapy & Acupuncture Pain Management Centre in 2001 and subsequently the LHH Nature Health Clinic in 2005. Jang had engaged in teaching acupuncture, massage therapy and reflexology in Canada since 2001. 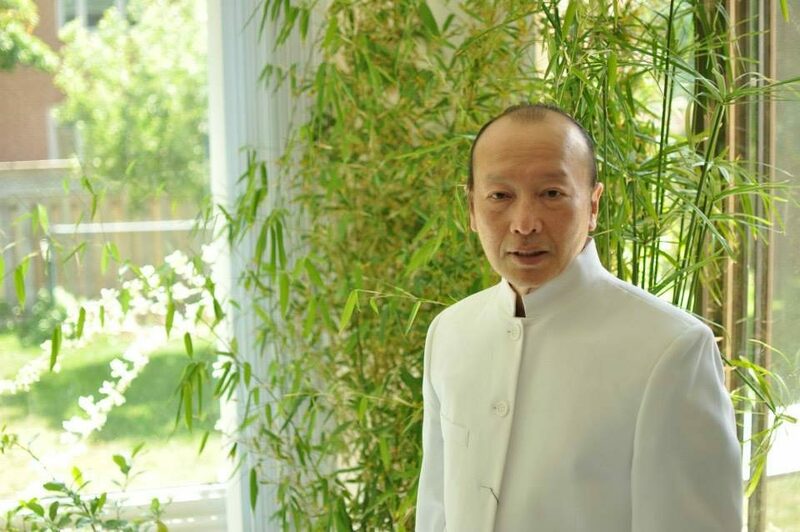 He is the President, Principal and Professor of the College of Oriental Naturopathy and Acupuncture in Toronto, and the First Counsellor and Professor of the Institute of Tai-e Traditional Chinese Medicine in Montreal. Jang is the Executive Director of the Canadian Chinese Multi-Business Association (CCMBA), a member and director at the Canadian Society of Chinese Medicine and Acupuncture (CSCMA, a Registered Naturopathy Doctor, Doctor in Traditional Chinese Medicine and Massage Therapist at the Canadian Union of Complementary and Alternative Medicine Practitioners (CUCAMP) and a Registered Massologist of the Association of Massage Technicians and Massologists of Canada (AMTMC). Jang has participated in numerous community events. On February 11, 2007, Jang received from Mr. George Smitherman, Deputy Premier & Minister of Health and Long-term Care, the Outstanding Chinese Community Professional Achievement Award by the Toronto Community & Culture Centre (TCCC). January 19,2008 Jang again received the excellent community contribution award and three times received volunteer award by the government of Ontario. 2008 – 2010 served as the president of IRIDOLOGY&REFLEXOLOGY NATURE HEALTH ASSOCIATION OF CANADA.2011–2012served as the President of INTERNATIONAL REFLEXOLOGY NATURE HEALTH ASSOCIATION OF CANADA, and in the same year awarded the Queen Elizabeth Ⅱ Diamond Jubilee Medal, created to mark the 60th anniversary of her Majesty’s accession to the Throne.(1952-2012). In 2013 was elected as president of the International Natural Health Association. 2014-2017 The association is in his leadership. Continue to grow.